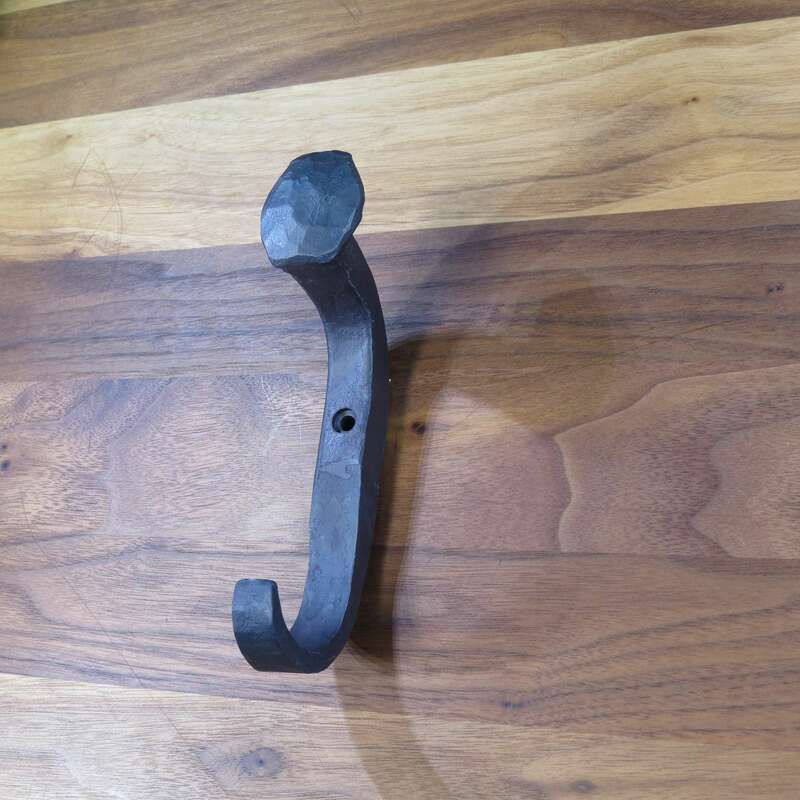 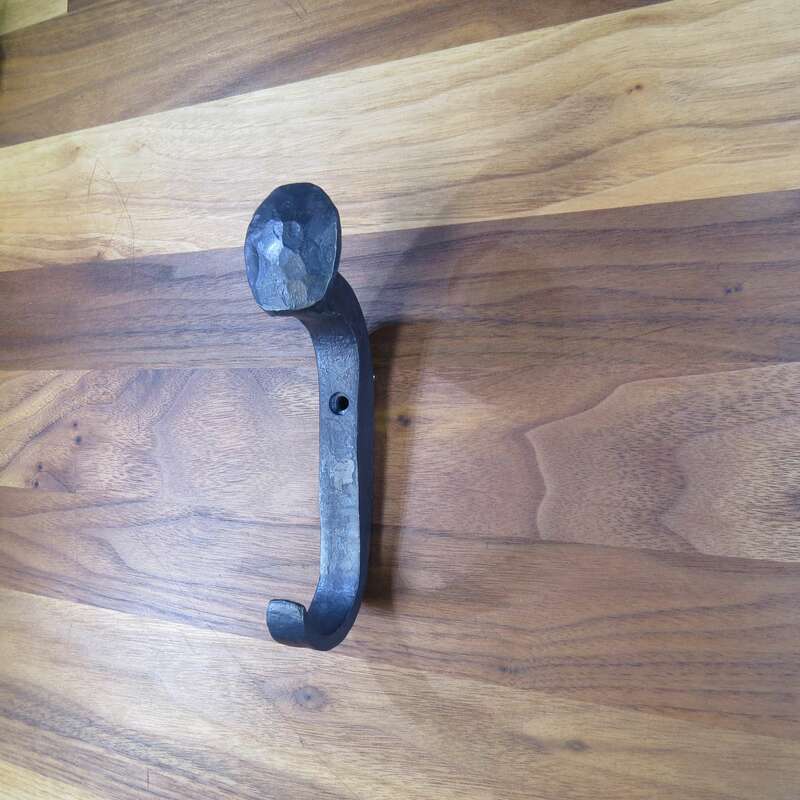 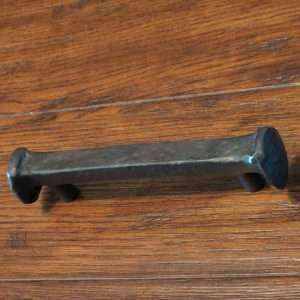 Hand forged wrought iron railroad spike hook or holder. 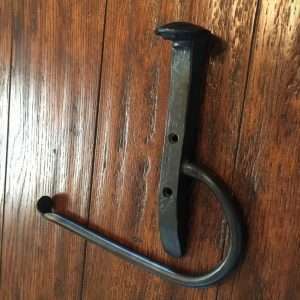 The hook works nicely for coats, hats, bridals, halters or towels. 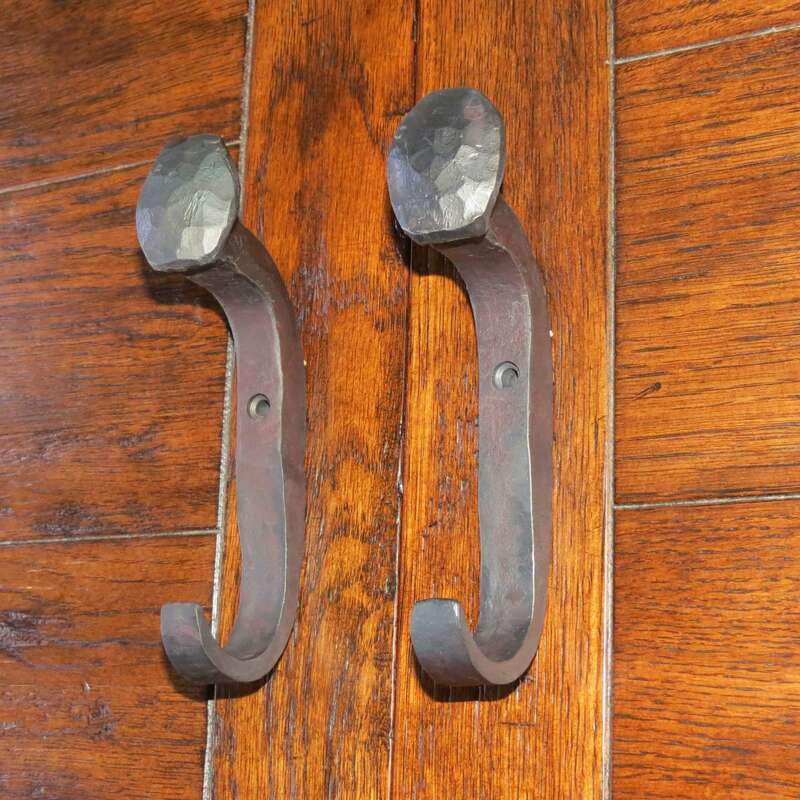 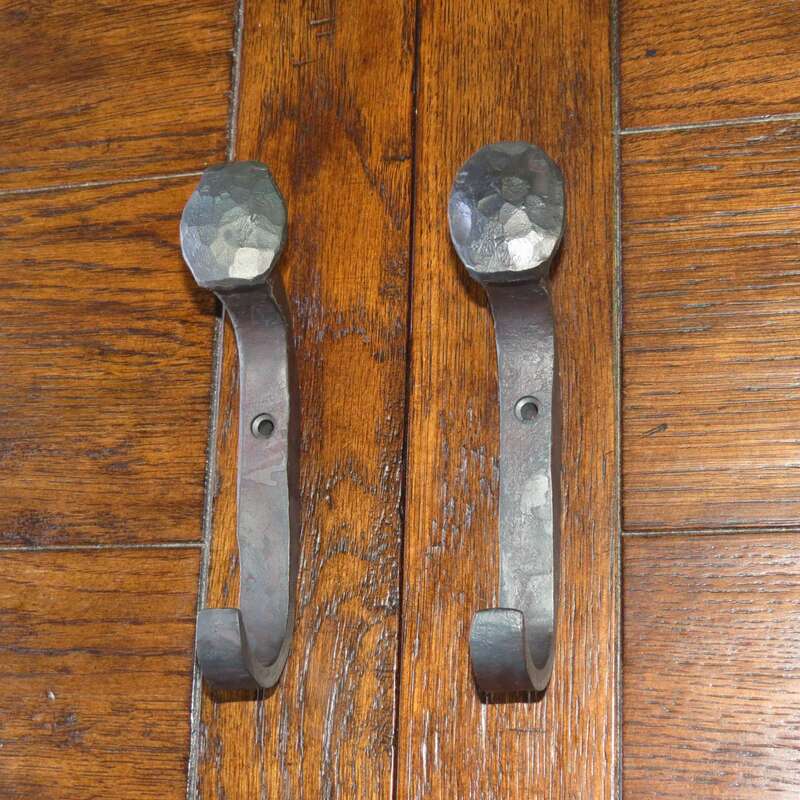 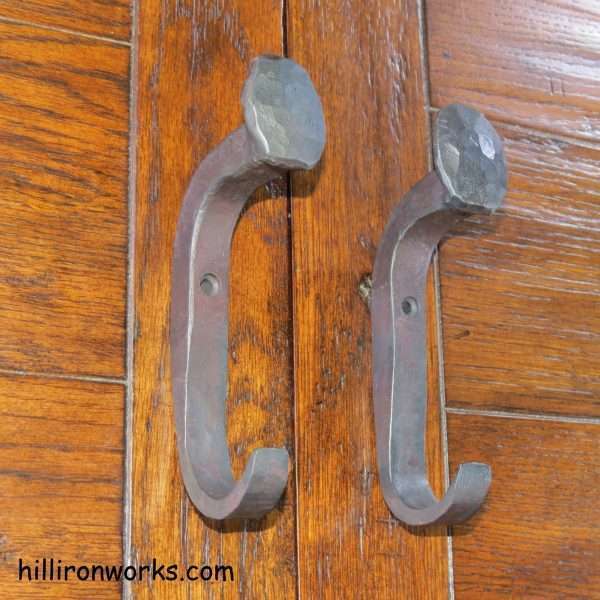 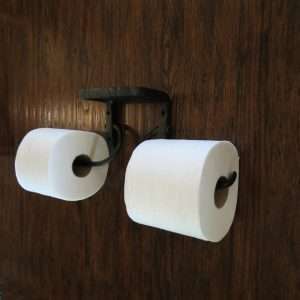 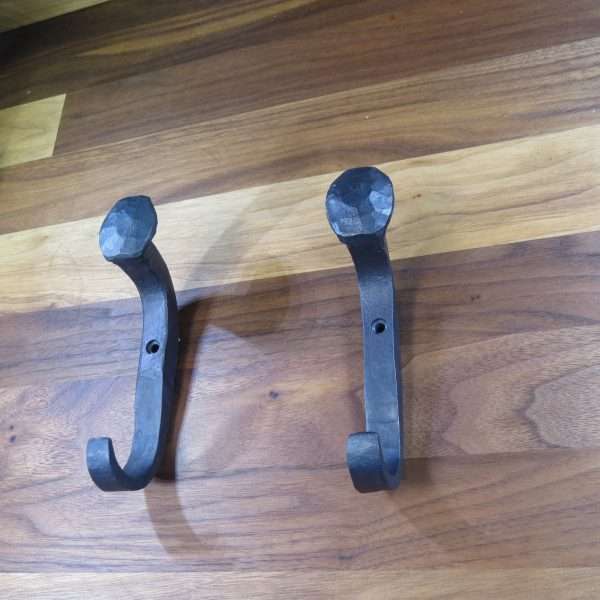 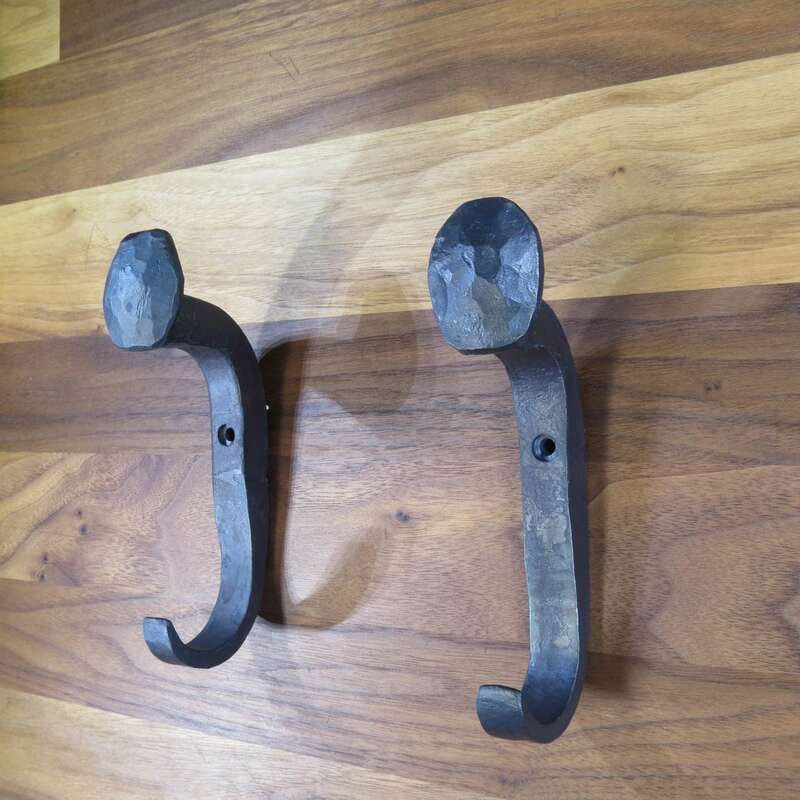 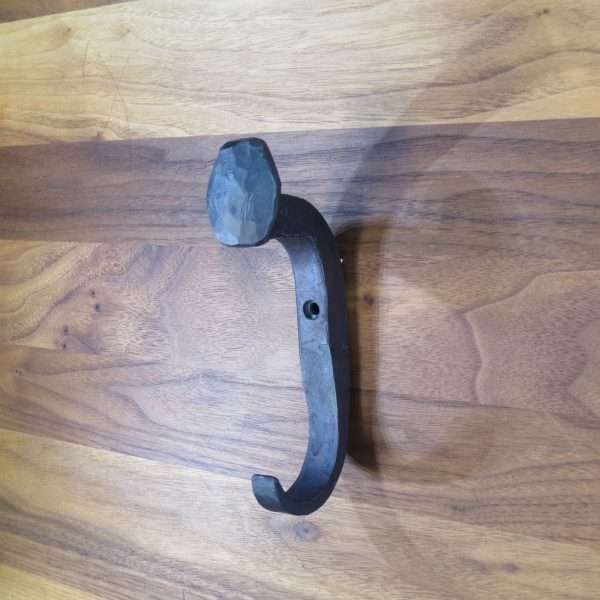 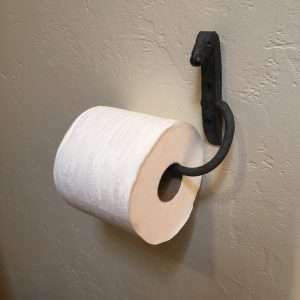 Can be used in the bathroom, kitchen, doorway, barn, boat house, horse trailer or anywhere you want to hang something on a nice looking hook. 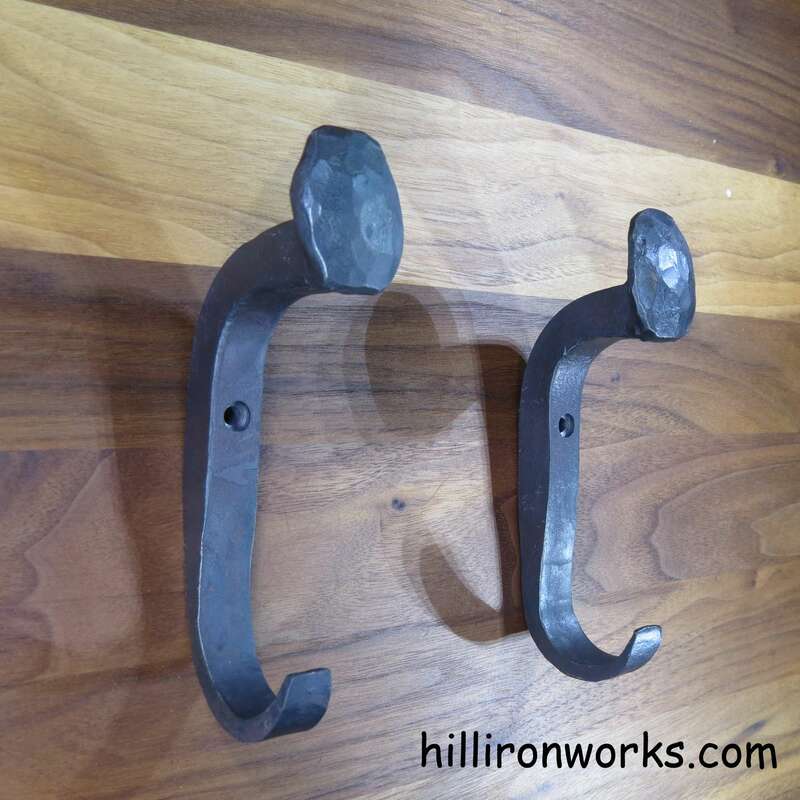 Iron spike hook is straight out of the forge and lightly brushed to be nicely rounded, rustic and antique looking. This wrought iron decor can fit nicely in a western, equine or barn theme. 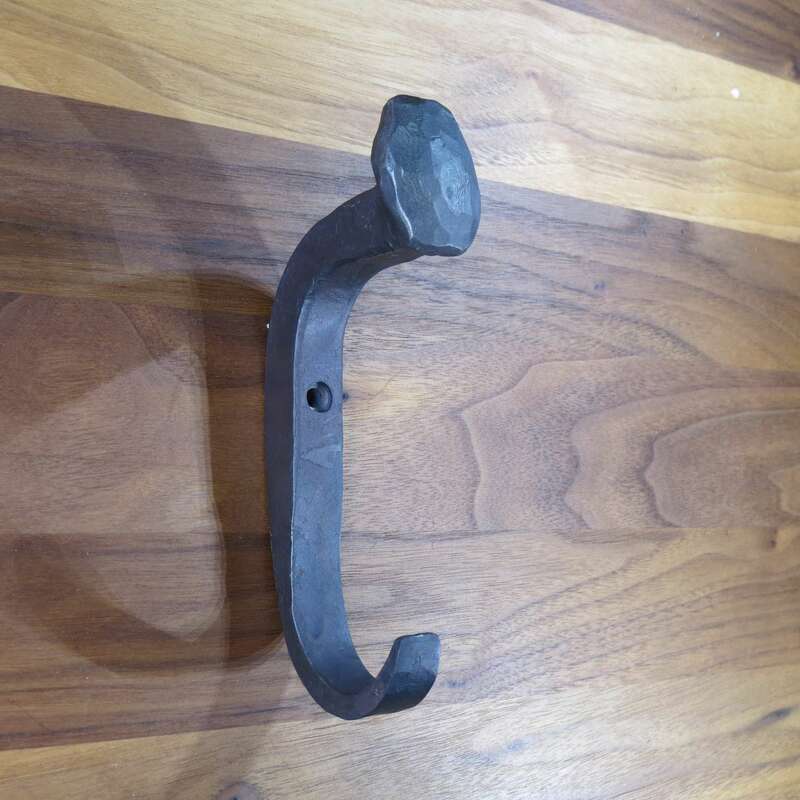 please contact me and I will quickly hammer out some more.